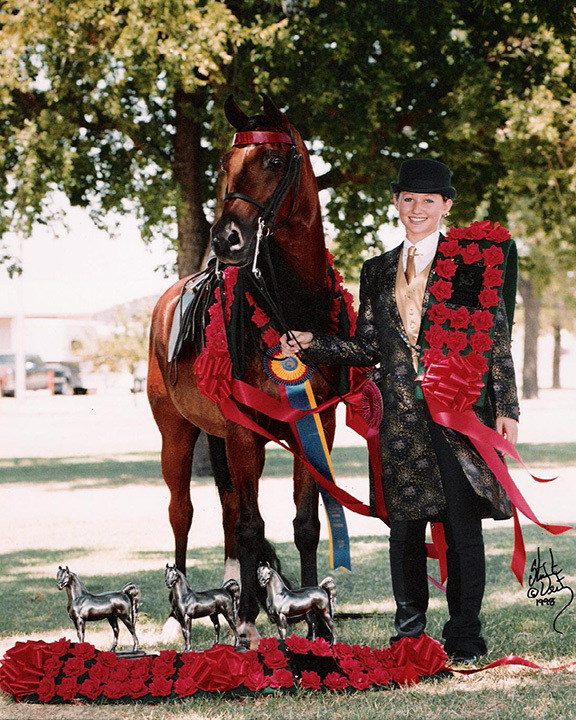 Razzberry has earned five National Championships and numerous Regional wins; his heart, brilliance, and ‘cuteness’ is legendary. Showing under the guidance of Joey Canda and Jim Lowe, our daughters Cory and Caitlin enjoyed the talents and predictable and thrilling wins from this mighty little horse. Bred by Mike Nichols, this 1985 Barbary gelding continues to enjoy life at Maplewood and still rides the trails!